A fave look of mine, for off duty or errand running days, pretty much always looks like this. You all know I’m a fan of the blazer/jeans combo, (I mean who isn’t?!) but with the addition of a pair sports shoes it remains sharp but now has an edge, not to mention being practical. I’ve recently started collecting trainers from the Adidas Originals collections at JD Sports and until now the Superstar’s were very much my favourite, enter the Gazelle. 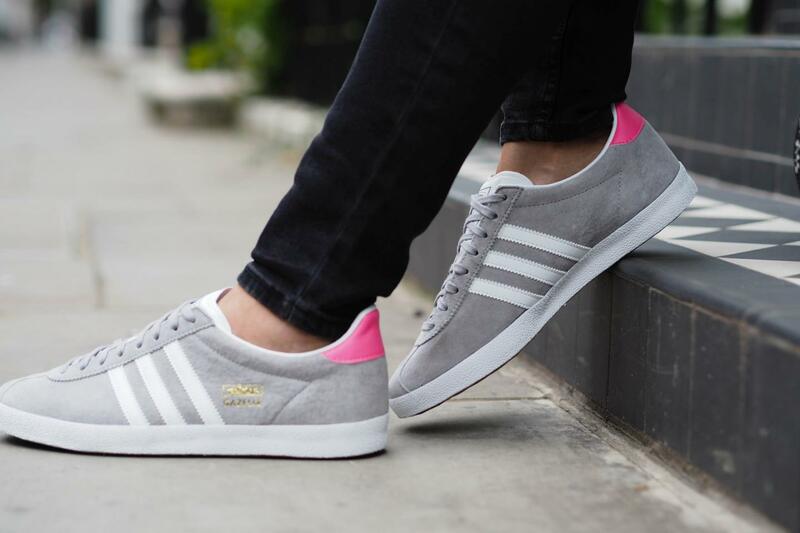 While Superstars are chunky and slightly bulky the Gazelles, as the name suggests, are slender and sleek. They come in some great colour ways but when I spotted this dove grey I was definitely smitten. They have a hint of colour on the back with the pink detail, but fret not if that’s too pink for you, they also have a pair with cork, yes cork! Errrrr amazing!